Using a special device box, the Gira E22 switch range can be installed flat on the wall. 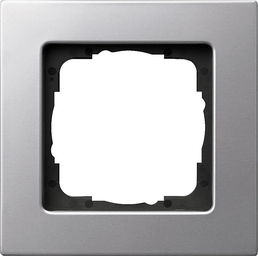 This Gira E22 device box can be recessed directly in the wall in cases of cavity mounting, e.g. a flexible wall system. For flush-mounted installation in brickwork, the Gira E22 device box is inserted into an Gira E22 flush-mounted installation box, which is then placed in the wall.